If you have the means to go all out, why hold back? Here are some of the most luxurious experiences you can enjoy on your Cabo vacation. Those who have the means in life and fail to use them, fail to truly live. If this sounds like your life motto, then you need to plan a visit to Cabo San Lucas. Few places on this earth offer the kind of beauty and splendor of this mini-verse of marine biology and cultural adventure. 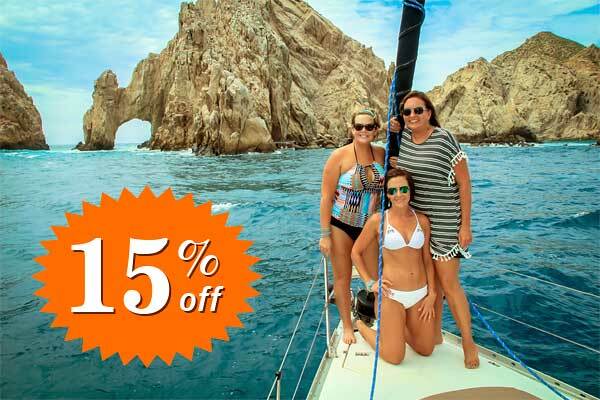 The Sea of Cortez is a brilliant place to plan a luxurious getaway with friends and family. Here is a little bit of what you have to look forward to at Cabo San Lucas. The best part of Cabo is being out on the Sea of Cortez. You have all the beauty of this spectacular location to take in, in a wildly popular vacation destination, and you can do this from the privacy of your own yacht. Yes, you can rent your own sailboats with staff for a three-hour tour over to the magnificent coral reef for some scuba diving or snorkeling. The staff will train you in water and underwater safety and help you find the best spots for photographing the magic of the marine flora and fauna that the whole world comes here to see. They will also supply you with an open bar and snacks for the duration of the trip. Two of the most popular tours are the daily sunset tours and winter whale watching expeditions. The sunset tours offer you one of the most gorgeous and romantic views above water on the Sea of Cortez, and you can check it out underwater as well with snorkeling and scuba diving. If you seek a truly romantic getaway, you won’t find much better than sunset on the Sea of Cortez with your own private yacht. Whale watching is another incredible opportunity. Whale watching is offered up and down the Pacific Coast, but the Humpback and Gray Whales visit the Sea of Cortez during the winter (mating season) because the waters are warm all year round. Whale watching tours get you as close to the whales as possible according to ecological safety and your own. Don’t miss out on your chance to share the water with some of nature’s most noble sea creatures. The party doesn’t end when you get back to shore… it just starts cooking. Cabo San Lucas is a collection of both traditional and international cuisine. For the adventurous, check out Casiano’s, a local restaurant served by Chef Casiano Reyes who lives and serves by the motto “no menu, no rules.” The waiter gives you a list of the daily ingredients for you to choose from, and Chef Casiano will cook you up a 3-5 course meal based on those suggestions, with wine pairings as well. For something more traditional, Edith’s restaurant provides great upscale seafood meals with a focus on traditional Mexican ingredients. They have an extensive wine cellar that can host parties of up to 10. For luscious meals with a breathtaking view, check out El Farallon, that sits above the Capella Pedregal hotel. They serve some of the best seafood on the peninsula and offer daily appetizers and delicious sides with every entree. If you are willing to make a drive up the coast, Laja is the home of celebrity Chef Jair Tellez. It is literally located inside a small house overlooking the Valle de Guadalupe, so reservations are essential. The meals are 4 or 7 courses, and you will not go hungry. Chef Tellez prepares sophisticated Mexican-inspired dishes so you can expect a mix of traditional and creative dishes here. In addition to these, the city of Cabo San Lucas offers wine tasting tours of many restaurants downtown. Get a tasty walking tour of this beautiful city with your lunch. While sailboats may hold the spotlight in Cabo San Lucas, they are not the only mode of travel. There are hiking trails and horseback riding along the shore. Multiple golf courses line the peninsula as well. There are camelback tours into the desert and opportunities to discover the historic heritage of Cabo San Lucas, including how they make tequila. See the land from above with the local zip line tours. There are plenty of ways to get out and see the sights, grab some great food along the way, and come back to relax in one of the local spas. 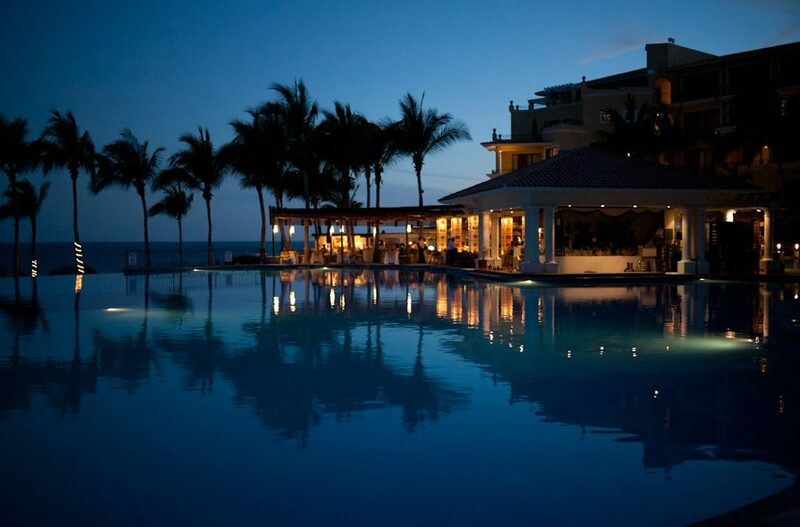 If you are looking for the best in town, you want the One&Only Palmilla. It is one of the most luxurious resorts in all of Mexico. They will treat you like royalty here, and you will want for nothing. If you are looking for a resort connected to a surfable beach, check out The Cape, a Thompson hotel. This is one of the few resorts with access to a swimmable and surfable beach. The waters can be rough across the coast which leads to more snorkeling by boat than beach swimming. It also has a world-class Mexican restaurant, Manta, which combines the cuisines of Mexico, Peru, and Japan. It is one of the more secluded hotels if you are looking for a private getaway. Whatever you desire in a luxurious getaway, Cabo San Lucas will fit the bill, giving you the vacation of a lifetime, and memories you will cherish forever. Save 15% on your desired cruise. Cabo Sailing is offering both shared (public) and private daily sailing adventures that consistently exceeding our guest’s expectations.